Whether outdoor or indoor gardening you will always face challenges! Using the sunlight, and soil for growing outside or high pressure sodium lights, and hydroponic systems to grow inside? What do I do?? If you decide to take things indoor! How do you figure out the size of room or space will you need? Here are a few things to think about! 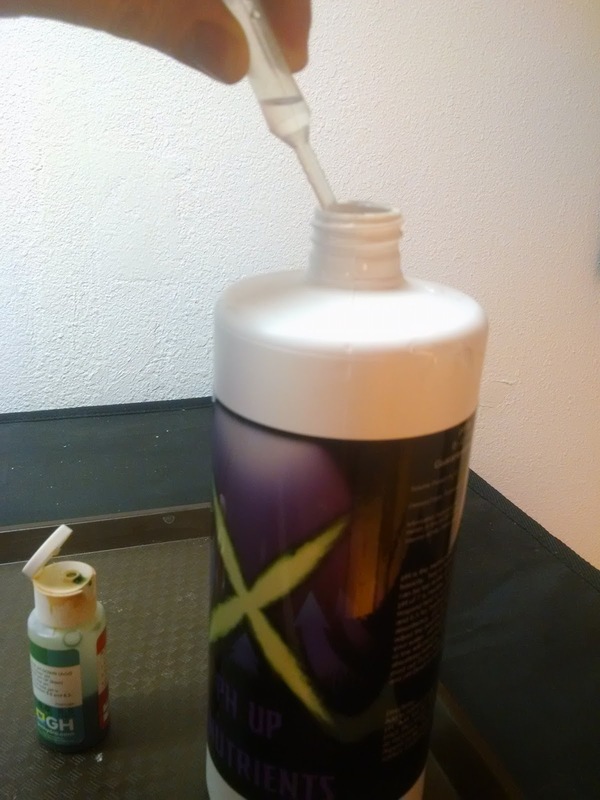 What type, and size containers will you be using to grow your plants? 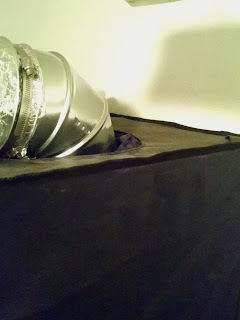 There are many different sizes of containers and pots for many different growing methods. The type or strain of the plant you are planning on growing also has much to do with your needs. Determine method of growing you will be using! 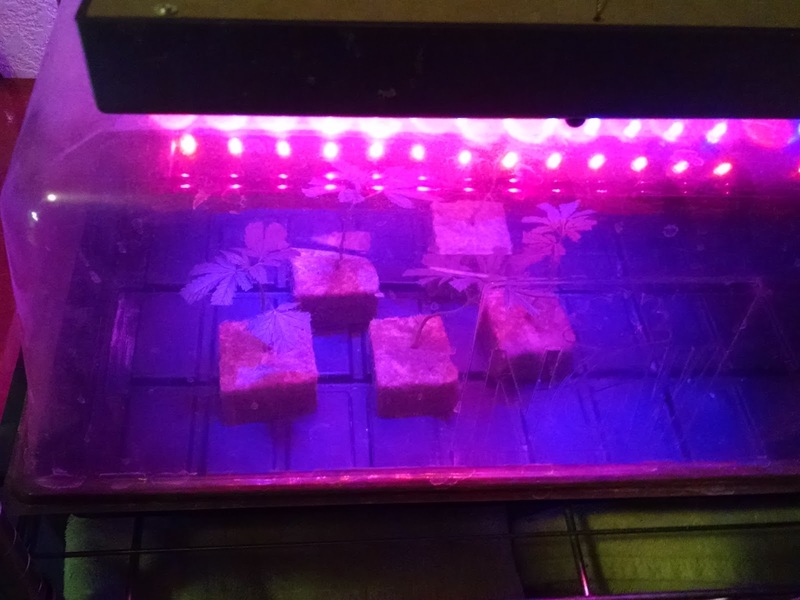 How many plants will you be growing, and what type or strain of plant? It is obvious that an entire garden would need more room than a single plant! But think about how big of a radius does each plant need? How tall is it gonna get? How far do my lights hang down? 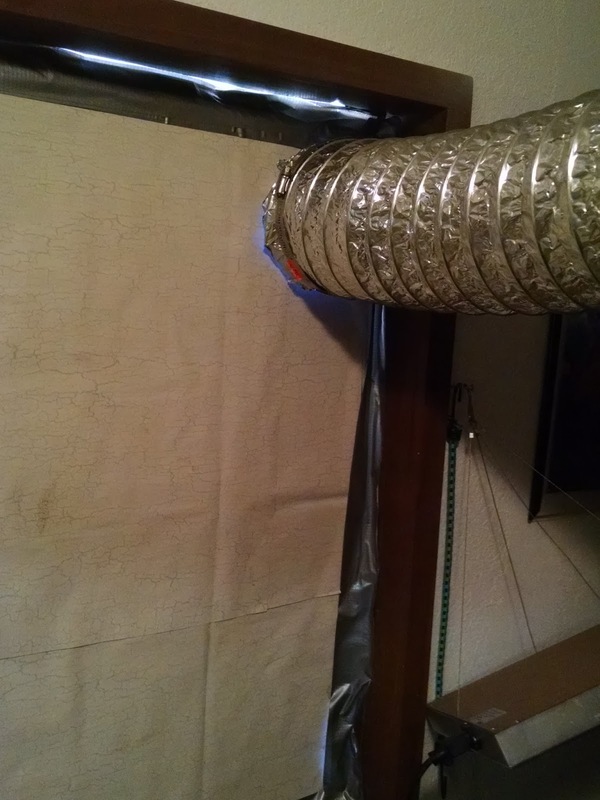 Do you have the ability to control the environment such as temperature and humidity? 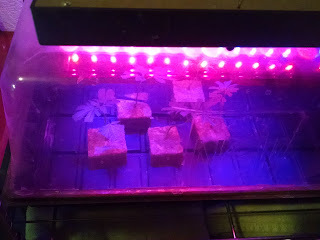 Ability to control the light source during different stages of growth, harvest, cloning,etc.? 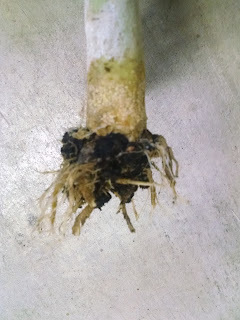 The definition of stem rot is "A symptom or phase of many diseases of plants characterized by decay of the stem tissue" and in most cases is caused by these soil inhabiting fungi. Stem rot can happen whether your plants are in the vegetative growth state or the flower stage. It is possible to survive up to 5 years in soil. It can be spread by unfiltered water, and unsterilized tools. 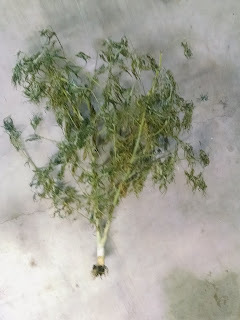 Symptoms of stem rot may include wilting, dieback, and poor vigor. Some causes may include poorly drained soil, crowding, mechanical injury, over watering or improper nutrient balance. Plants showing signs of stem rot will have spots near the stem or on the roots near the soil level. These spots will vary in color and sizes. Spots on the stem or root may be gray, brown, black, or even bright red! 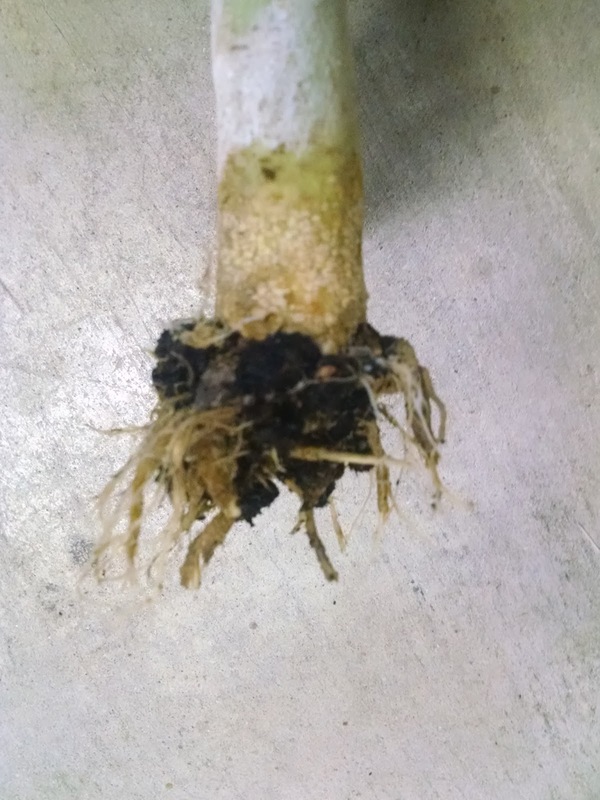 To avoid and/or treat root or stem rot be sure not to over water your plants. Try to keep base of the stem in dry conditions. Do not fertilize during hot, dry conditions. Mulch and aerate the soil. There are also multiple fungicides available. With a little research it easy to find what you need for your certain growing conditions. We need food, water, and air, to survive. The purity, amount, and quality, help determine how healthy our bodies will be. Plants, in the same way, have certain needs to survive. The Intensity of the light or brightness. The quality of light or wavelength of the spectrum. 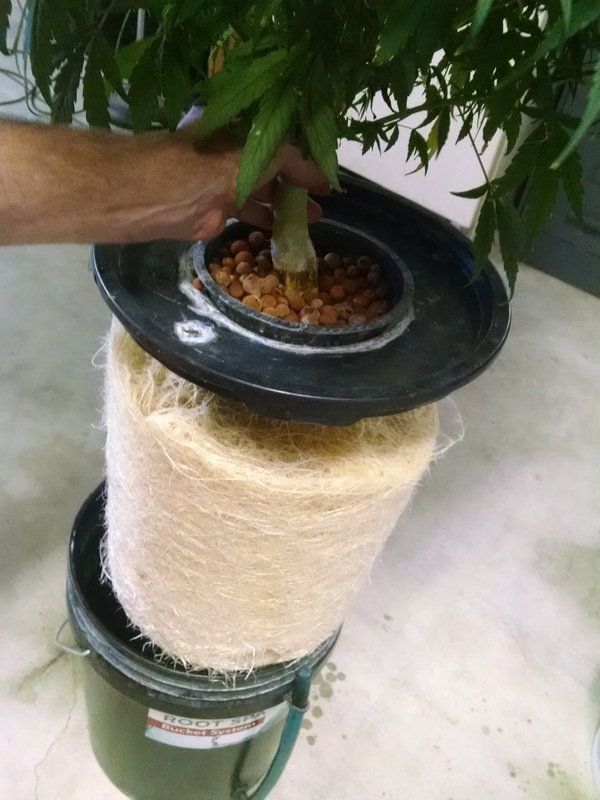 are all determining factors on how well your plant will grow. These are great for indoor gardening although they need to be ventilated as they put off a lot of heat. 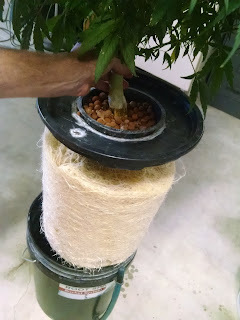 Helps to cool the plant through evaporation. Keeps the plant turgid or rigid. and oxygen for respiration from the air. Note the affected Brown roots on the left verses the light colored, firm, smooth roots on the right. process of photosynthesis. There are Macro, and Micro nutrients. Carbon, Hydrogen, Oxygen, Nitrogen, Phosphorus, Potassium, Calcium, Magnesium, and Sulfur. Iron, Copper, Zinc, Manganese, Molybdenum, Boron. This time of year is the perfect time to get ready for your next grow! Whether you are into indoor hydroponic gardening, or more the outdoor type of gardener, now is the time to get your little plants and seedlings a head start on the grow season. Well it's officially Autumn! "So why is it so freaking hot!" Really though it's usually in the 70's around here all year long ,but we've been hitting the Nineties. One thing to remember on hot day's like these is if you're hot your plants are also hot! 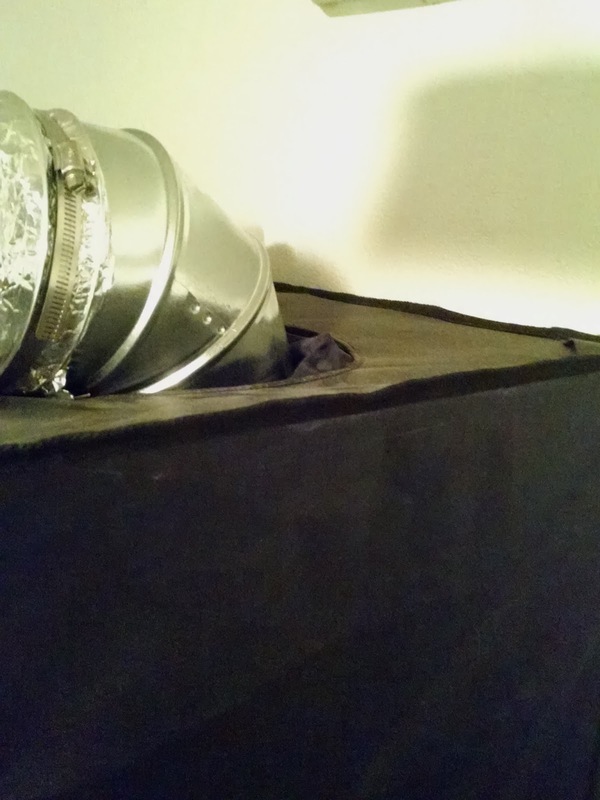 Grow Tents without proper ventilation can become extremely hot and have terrible consequences on your plants. 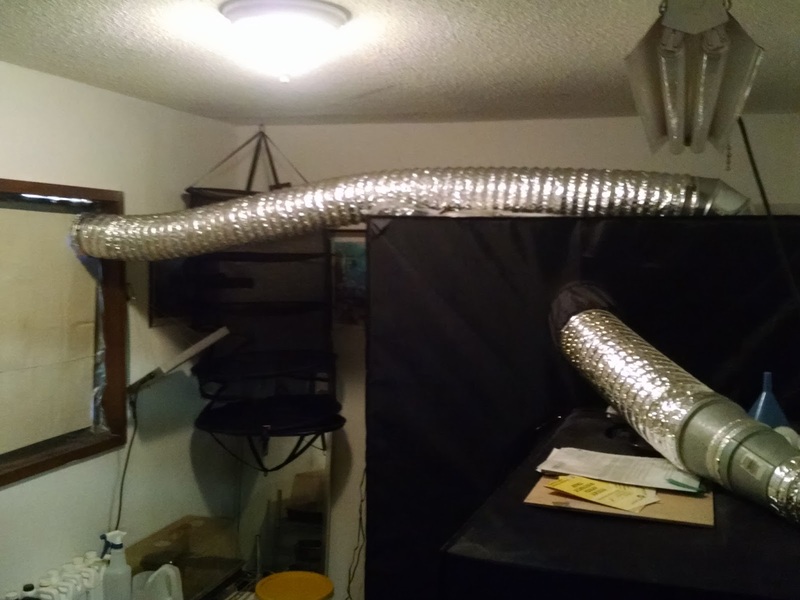 Bringing in fresh air ,having fans inside grow tents, and using the proper size fan and filter combo kit can keep your indoor garden cool and comfortable even when it's hotter than usual outside! 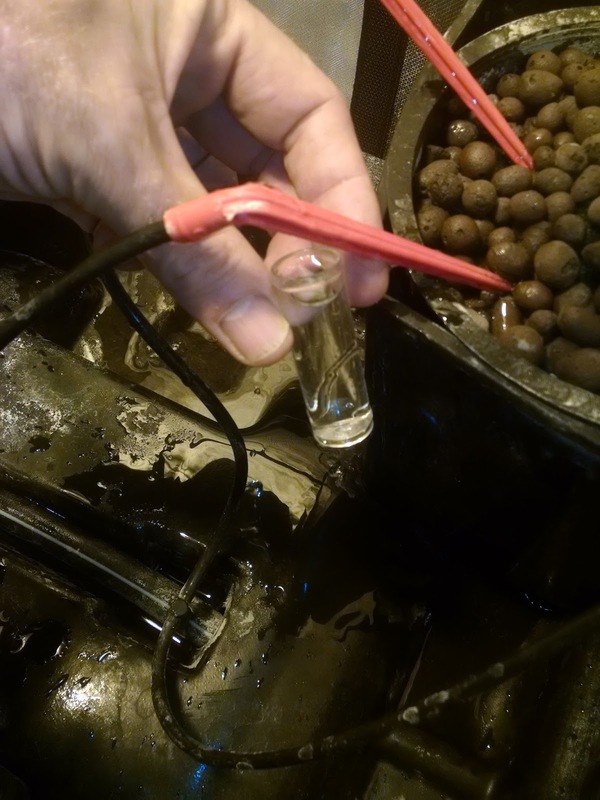 "What is pH,and how do I check it?" Plants absorb different nutrients much better at certain pH levels.What is pH anyway? When the purity of water is altered it can become "acidic" or more "basic". Water that is considered neutral has a pH of 7 on the pH scale of 0-14. If the water is "acidic" (on the low end of the scale) the water has more hydrogen ions than hydroxyl ions.If the water is "basic" (on the high end of the scale) the water contains more hydroxyl ions than hydrogen ions. As you can see on the chart most nutrients are absorbed between 5.5-6.5. 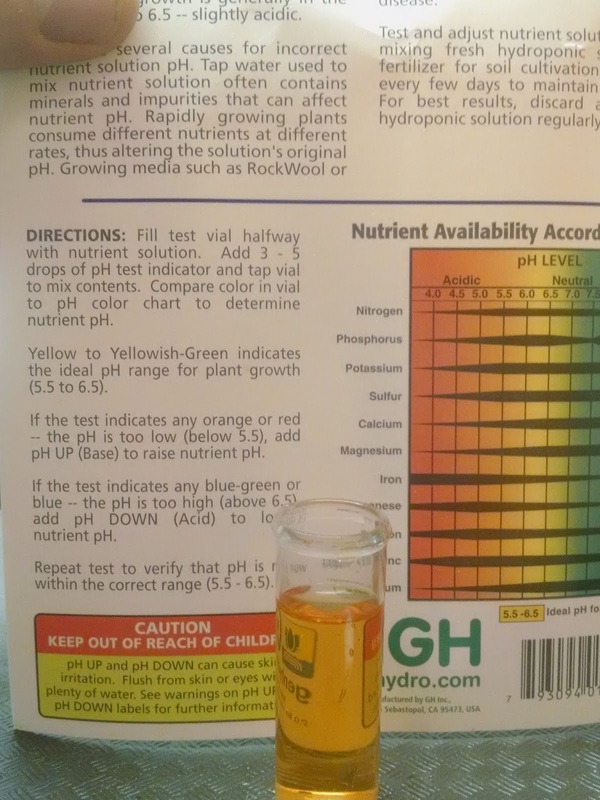 So we want to make sure our pH levels are within these parameters. If growing in soil pH should be a little higher. 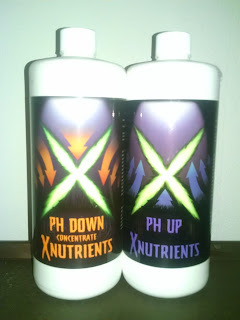 get a sample of nutrient solution. Half full at least. 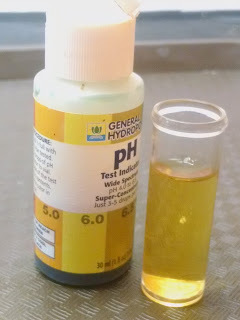 Now place 3-5 drops of pH test solution in sample. If it turns "reddish" in color it is too "acidic",and if it turns more "blueish" in color than it is too "basic". In this case our sample is on the low end being too "reddish"! 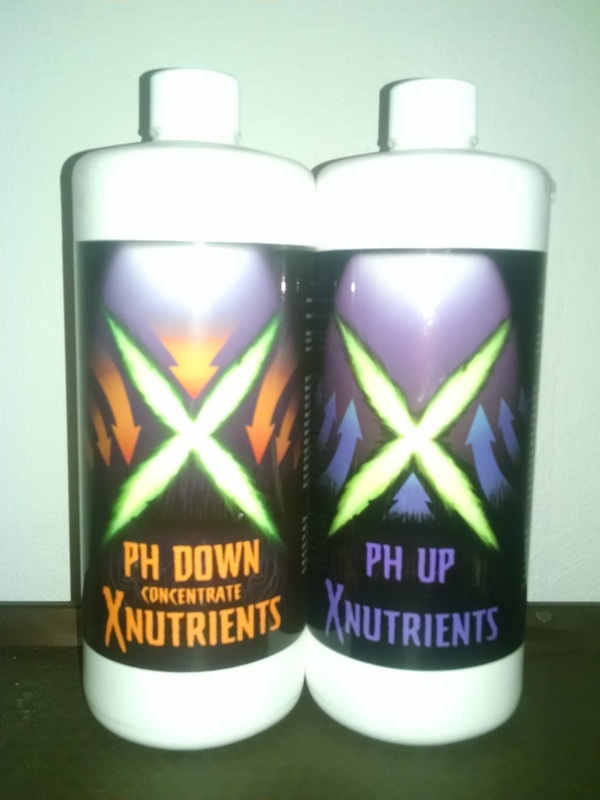 So we will add some pH up to our nutrient solution 1-2 mg per gallon at first.Then more if needed. After rechecking our solution again it appears to be more of a "yellowish" color which means it is around 6.0 on the pH scale! This is a Blog Post I was hoping I would never have to write about! 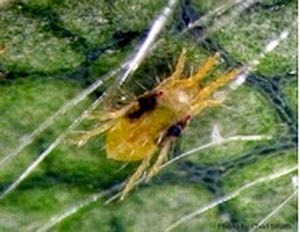 After all the precautions taken ,we've been invaded by Spider Mites .Some call this terrible force of nature "The BORG". Which I believe is fitting! These nasty little critters are so small you can hardly see them with the naked eye! 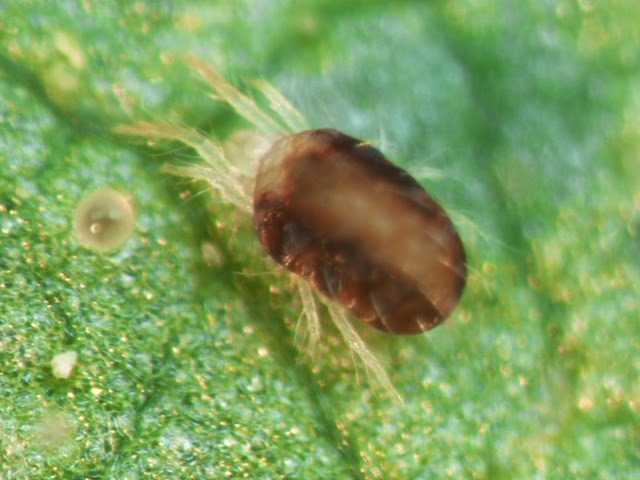 Once you see the first sign of infestation in your indoor garden it's time to act fast!!!! 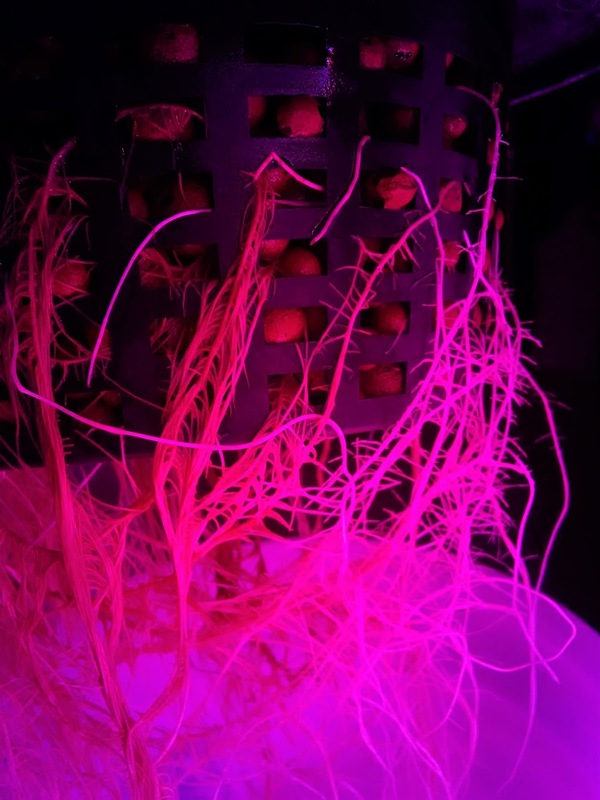 Indoor hydroponic gardening is usually easier to control or prevent infestations, but it does happen to the best of us! Once you see one of these guys or there webbing you can bet you got trouble! After you realize you have visitors it's time to show them the door!!!!! 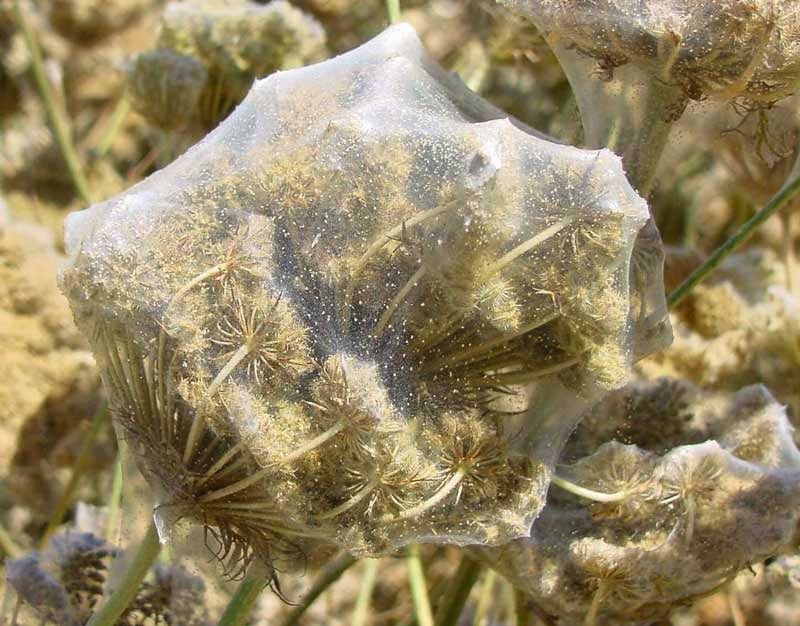 If you have webbing on your plants you know the situation is bad ,and will take several treatments to rid this "EVIL"!!!! 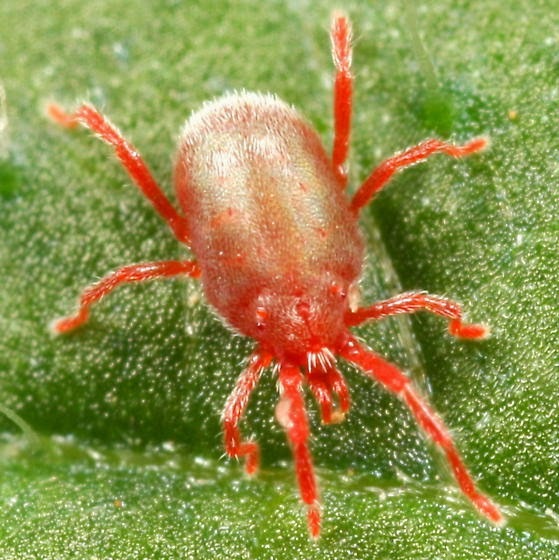 !First off we will kill off every single mite we can see with one of several different products. There are approx. 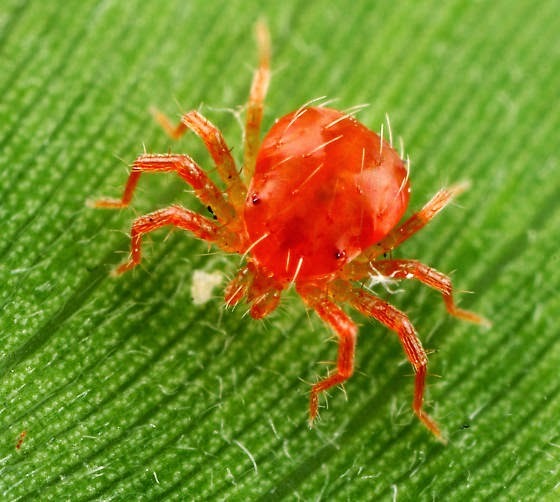 1,200 different kinds of mites . Natures mite control is done by lady bugs,but if we don't have an army of lady bugs we'll have to use other methods. 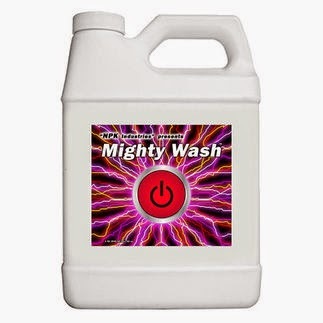 Mighty wash can be found mostly anywhere hydroponic supplies are sold. Be sure to use this product right before lights out to help protect from leaf burn! and be sure when using these products that you apply on and under all your leafs. 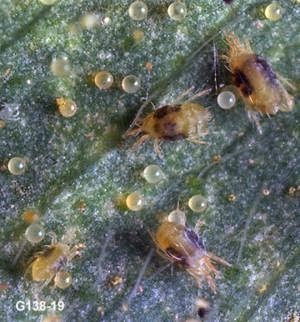 Repeat every 5-7 days to assure all mites are destroyed ,and none are hatching from eggs. When your convinced their gone treat again! 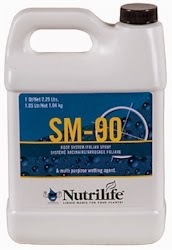 Wash your grow room area with a bleach solution then repeat a week later.SM-90 added to your solution is good for your roots ,and good mite prevention. Don't forget to leave outdoor plants outdoors ,and keep your grow room clean!!!! Extremely effective and kills naturally on contact! 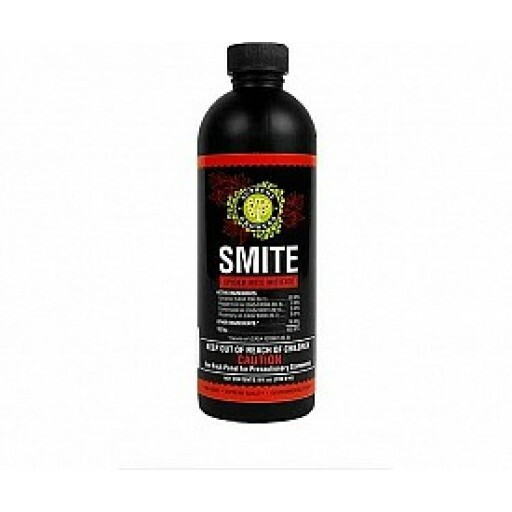 Smite contains oils produced by cold-pressed extraction of naturally grown Geranium,Peppermint, Cottonseed, and Rosemary. Under warm conditions ,Smite will naturally degrade in 5-7 days leaving minimal residue! 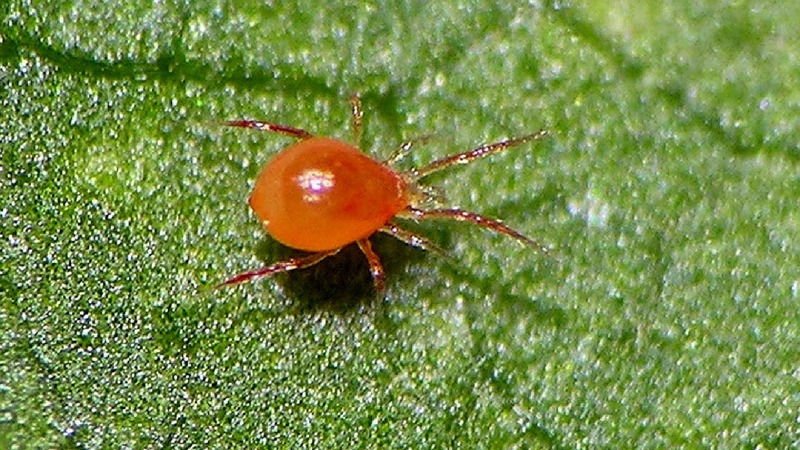 Smite kills on contact by blocking the breathing holes, resulting in death by suffocation.It also causes reproductive disruption among female spider mites not initially contacted by the spray. This leads to infertility, eggs that don't hatch or mites that do not develop to an adult stage.Get yours HERE!